Come to Toyota of Goldsboro for any of your Toyota service, repair and parts needs. Whether you have a new Toyota or used Toyota, our certified, experienced and knowledgeable service technicians will assess your situation with care and consideration. In La Grange, Wilson, Kinston, Clayton or Goldsboro, North Carolina, don’t trust just anybody to service, repair or replace parts in your Toyota vehicle. At Toyota of Goldsboro, we won’t just treat you with the utmost respect; we will take care of any and all of your Toyota service, parts and repair needs. The professionally trained technicians at Toyota of Goldsboro will place you, your family’s and your vehicle’s safety as our top priority. At Toyota of Goldsboro, we will assess and fix whatever issue your vehicle may be having whether it is related to your Toyota’s engine, transmission, tires, etc., and leave you breathing a sigh of relief once you leave our lot. Appointments can be scheduled online at Toyota of Goldsboro, making it easy to get your next oil change or transmission service. Online, you can set up an appointment at your convenience, 24 hours a day/7 days a week, without ever having to touch a phone. The Toyota of Goldsboro service department also offers maintenance-related services – such as fuel filter changes in Goldsboro, NC – to keep your vehicle running up-to-par and at its best. If you ever have any questions in regards to obtaining service, repair or parts for your Toyota, feel free to call the service department at Toyota of Goldsboro at (919) 778-3232 and we will be happy to answer them. Schedule your appointment online today! We look forward to taking care of you and your Toyota’s service, repair, maintenance and parts needs. Whether you’re from La Grange, Wilson, Kinston, Clayton or Goldsboro, North Carolina, trust the best. Trust Toyota of Goldsboro. You’ll be happy you did! 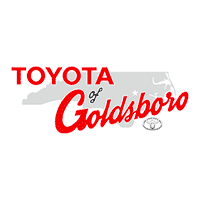 Toyota of Goldsboro is located at 301 N Oak Forest Rd, Goldsboro, NC 27534.